Terra Etruria Farm-to-Table Restaurant and direct selling. Lovely and welcoming place in the old centre of Florence. 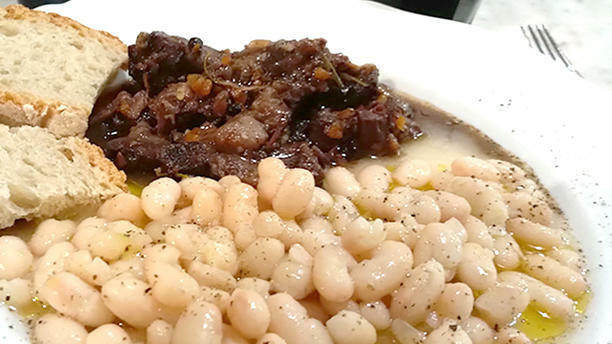 Exactly what you need, if you are looking for the traditional tuscan cooking. Only tuscan in season farm products. Red Wines of our production (IGT Toscana and Chianti DOCG Riserva) as well the extra virgin olive oil. Terra Etruria is member of the brand CAMPAGNA AMICA, created by Coldiretti. Terra Etruria Restaurant is available for private events. Solid Tuscan fare. Able to book at last moment. Buono antipasto toscano,la ribollita e la zuppa tartara. Very nice climax. Perfect bio products from the farm. They claim to cook like at home, like a mother would do. What I doubt is that a mother would give to her family such small portions. Too small also because they are so delicious! Also, a larger choice of dishes would be needed, in my family opinion. Everything we had was really good. Menu changes depending on what’s fresh from the farm. Favorites were ‘nudi’ spinach ricotta palls and pasta with leeks. Prices were very reasonable— bring euros— no credit cards. Home made food and we loved the concept: it's not a restaurant but a farm. The service is excellent. The food is really good but they don’t accept credit cards so you have to bring cash with you. Fantastica cucina. Fantastico vino. Fantastiche persone! We really enjoyed our meal at Terra Etruria. The staff were VERY friendly and attentive, and the food was simple and delicious. The wine selection is very limited, but delicious. The restaurant atmosphere is small, comfortable, and unique.